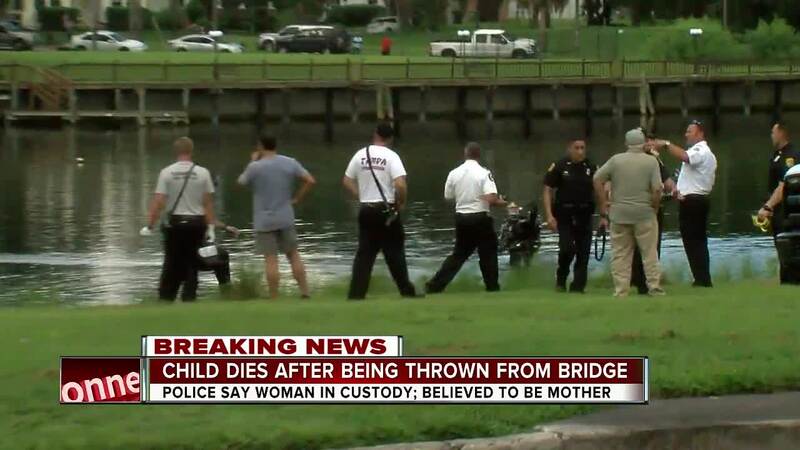 TAMPA, Fla. — Tampa police have charged a mother with first-degree murder after police say she drowned her daughter in the Hillsborough River, killing her. 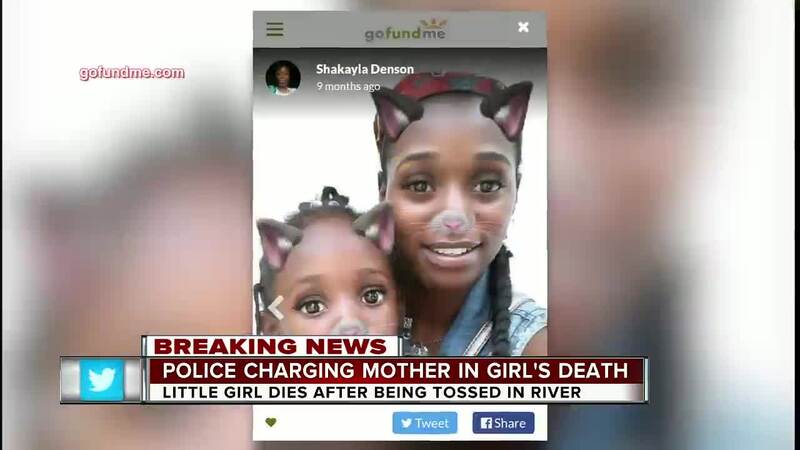 Shakayla Denson, 26, has been arrested and charged with first-degree felony murder and aggravated child abuse in the death of 4-year-old Je'Hyrah Daniels. She also faces a charge of grand theft auto. Denson made a first appearance in court on Friday morning. A judge set no bond on the charges of murder and child abuse. 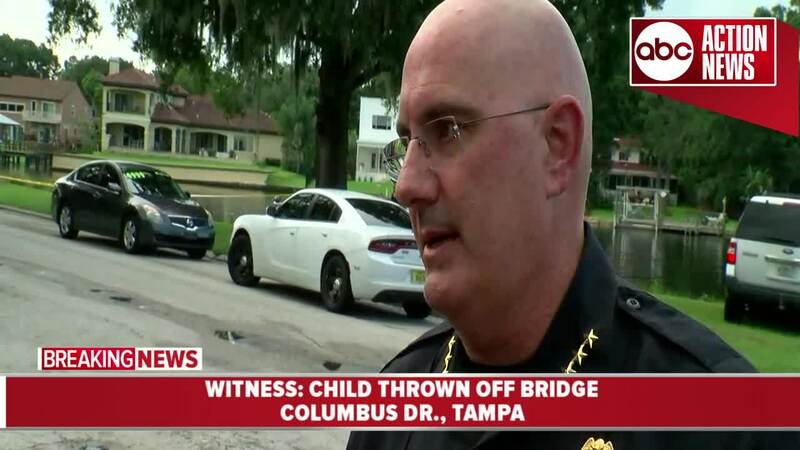 Tampa Police officers responded to N. Rome Avenue and W. Aileen Street around 4:06 p.m. Thursday after receiving reports of a woman who drowned a child in the river just north of the Columbus Drive bridge. 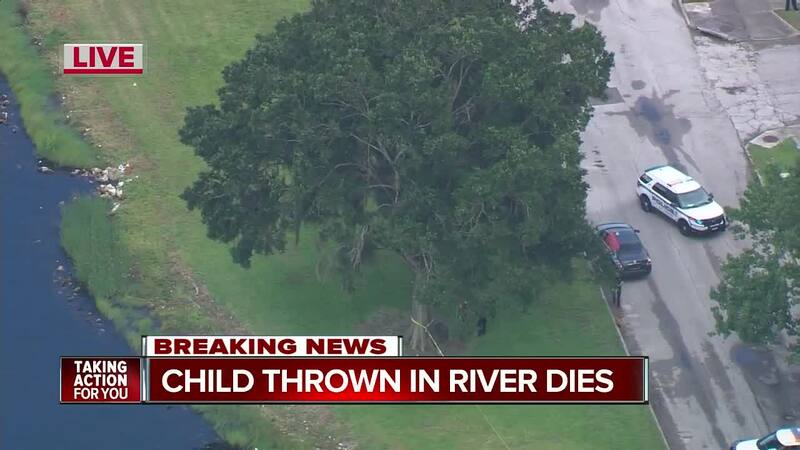 The dive team also responded to the scene where they pulled Je'Hyrah from the water around 4:30 p.m. She was discovered approximately 75 feet from the shore. Emergency services rushed her to St. Joseph's Hospital where she was pronounced dead. Police say Denson was located walking nearby when they took her into custody. Investigators say Denson had just stolen a car - a grey Nissan Altima - from Jordan Auto Repair located on N. 40th Street in Tampa. She parked the car on Rome Avenue just north of Aileen Street. 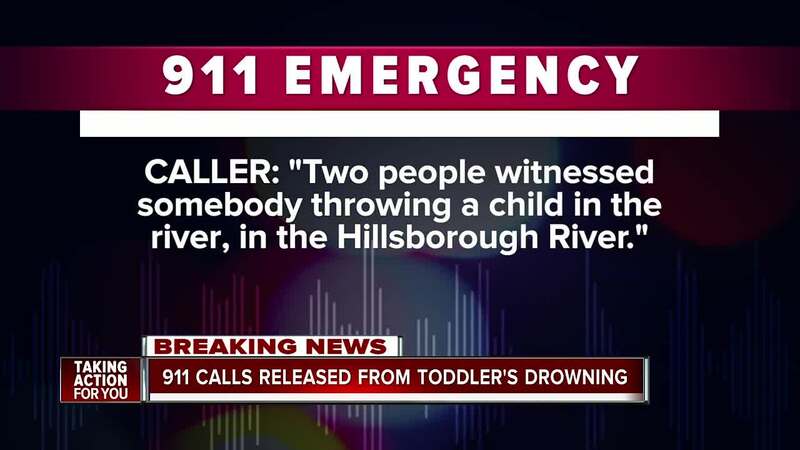 Tampa Police released a 911 call on Monday where a man calls to report that a woman left her child in the Hillsborough River near N. Rome Avenue and W. Aileen Street. 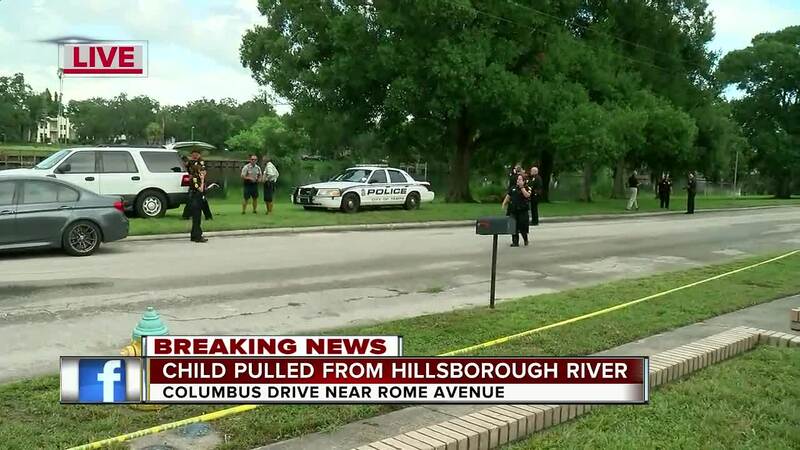 “Two people just witnessed somebody throwing a child in the river, in the Hillsborough River and they took off,” the man told the dispatcher. 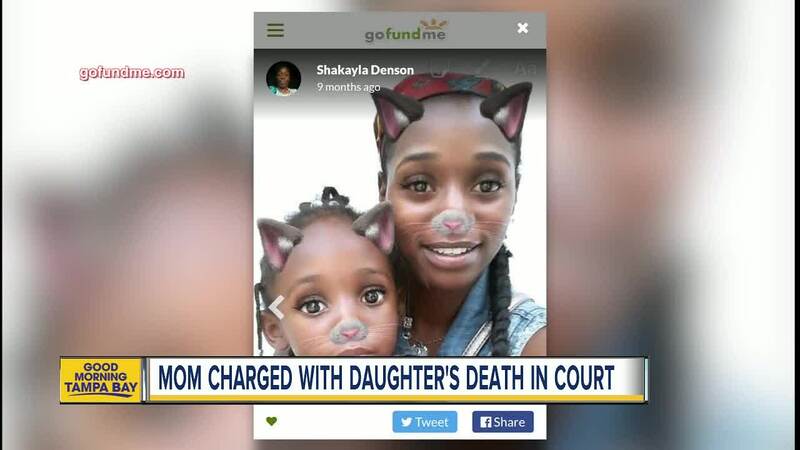 According to an arrest affidavit released Friday morning, two witnesses said Denson "forcefully pushed Je'Hyrah into the back seat of the Nissan Altima." One of the witnesses attempted to stop Denson from leaving but was struck by the Altima as she left. Two other witnesses told police they saw Denson near W. Aileen Street and N. Rome Avenue where she "forcefully removed Je'Hyrah from the back seat of the Altima by the arm." They said as Denson pulled Je'Hyrah she was "screaming loudly and not cooperating." 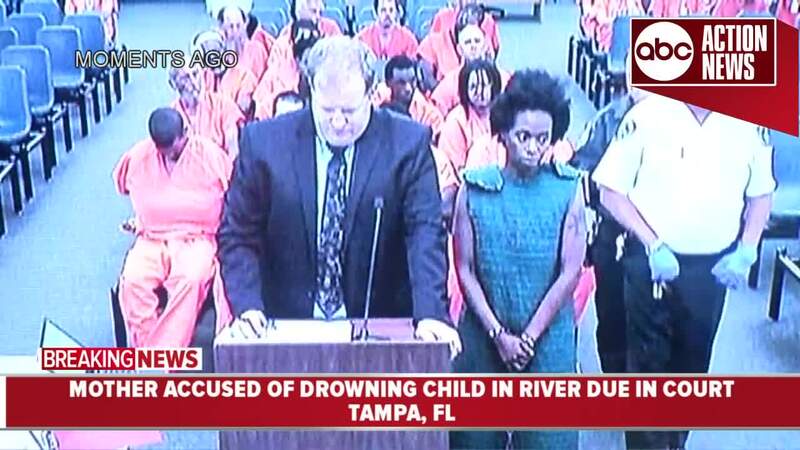 Denson then went into the Hillsborough River while holding both of Je'Hyrah's arm until the water reached her shoulders. Vicki Walker lives on the 3rd floor of the Dockside Condos in Tampa, directly facing where police say Je'Hyrah was drowned. 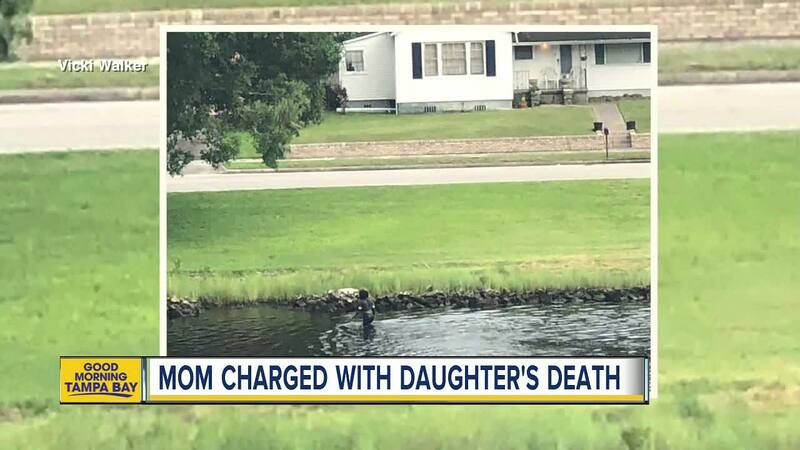 She told ABC Action News that she never saw the child, but spotted a woman walking out of water not long before police arrived. “Which was very odd, I’ve lived here for years, I’ve never seen anybody in the river," she said. Walker took a photo of the woman in the river, which she shared with ABC Action News. Walker says that the woman was by herself and that she watched her walk out of the river onto the bank, where she says the woman sat for a while. “There’s a part of me that’s like ‘oh my gosh, why didn’t I run over there? Why didn’t I talk to this person? Why didn’t I find out what was going on?’ I had no idea,” Walker added. "My daughter was recently diagnose with autism spectrum, my goal is to start saving for therapy equipment, and also for je'hyrah's future. I've also gathered interest in reaching out to others living with autism, and would enjoy providing strategies and resources I've learn to help them get threw the day. Thanks and i appreciate it." 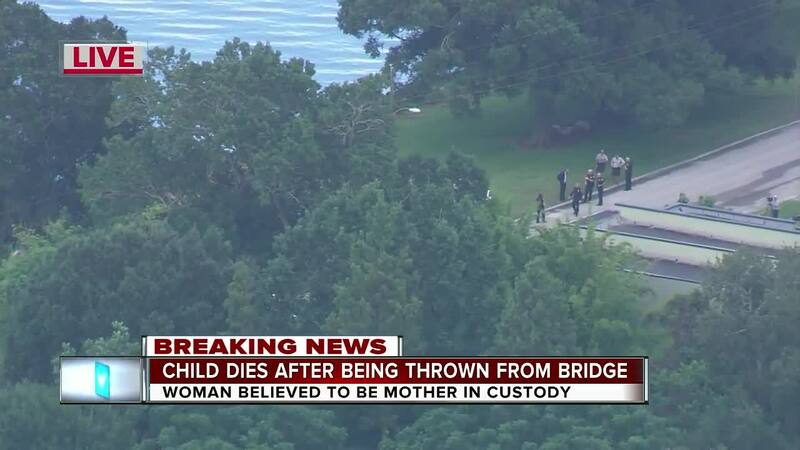 An autopsy will determine the child’s official cause of death. Denson will be ordered back in court on Wednesday, August 8.